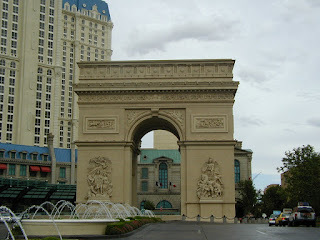 Among the many sights to see in Las Vegas is the reproduction of Frances Arc De Triomphe. 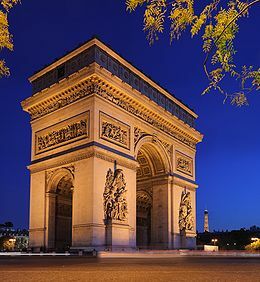 This Paris landmark is a war memorial that is also the tomb of the unknown soldier. The Arc in Vegas is approximate two thrids the size of the original. This is the one in Las Vegas. They are indeed hard to tell apart.